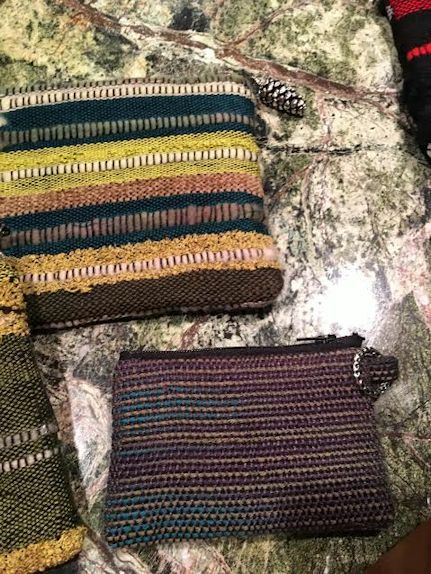 I’m not ready to start a weaving cottage industry but I am having fun making zippy little purses out of the cloth I have been weaving in my class. 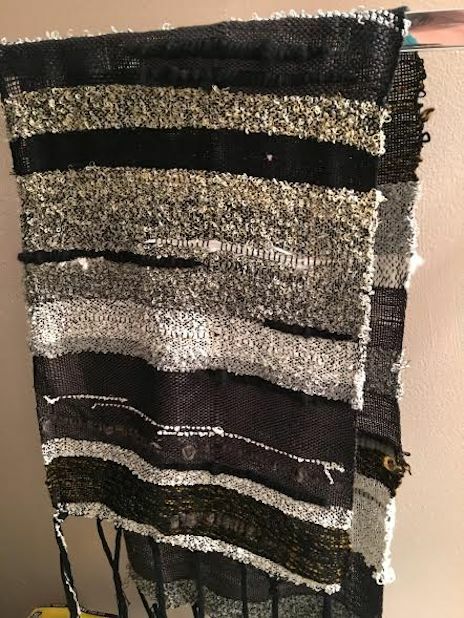 I am fortunate to have a weaving teacher living in my neighborhood. 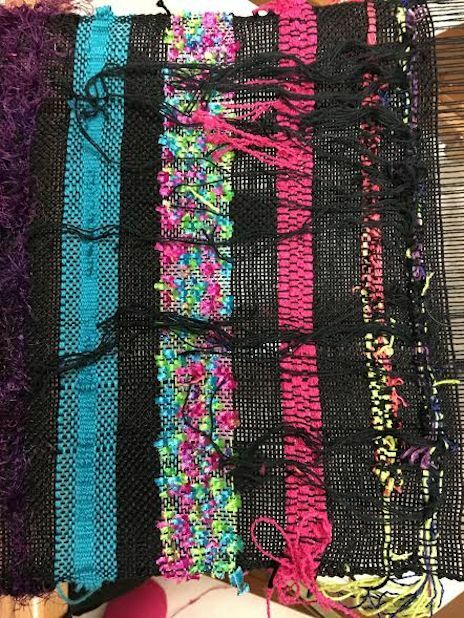 Once a week I have been weaving wonderful masterpieces of cloth. (Or at least I think they’re masterpieces because I made them.) 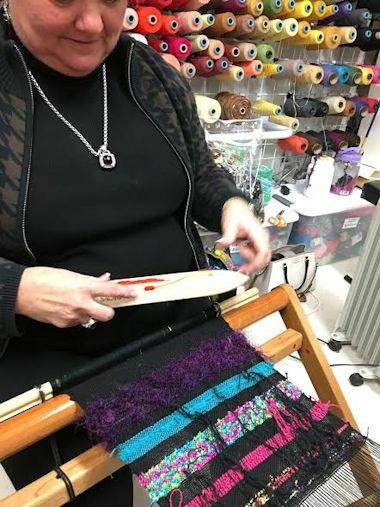 I am still fascinated at turning string or yarn into a piece of fabric. Sunday I’m going to go to a spinning class so I will really be “making” my own fabric after I learn that skill. Next I’ll be raising sheep in my back yard for the fiber. 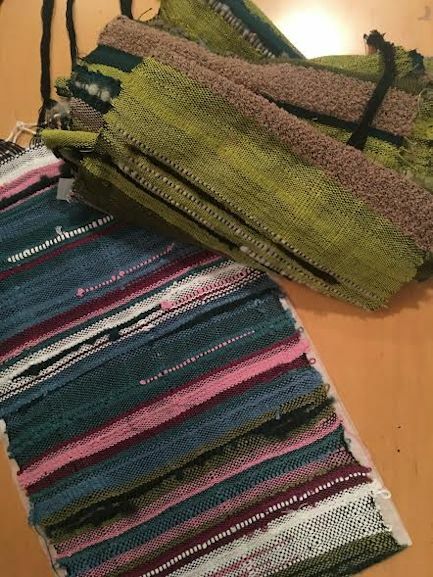 My first piece was the shades of green cloth shown here. I ended up making about a 12 feet long piece of fabric. It is approximately 10 inches wide. The pink and blue piece is one that I made last week. It is only about 3 feet long. 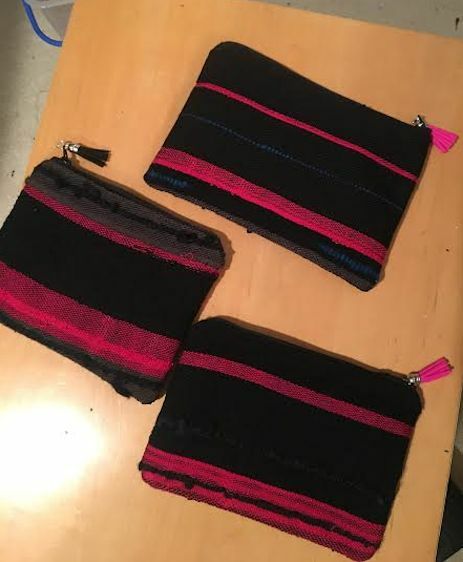 I have mostly been making these little zippered purses with my fabric. These are credit card sized (or Ghirardelli Chocolate Square sized). I have also made some a little bigger. They are make-up sized ( or giant candy bar sized). Now, I really don’t only eat candy so I’m pretty sure they are carrot sized, too but I’ll probably save these for the nonsalad option for things like contact solution or eye shadows. 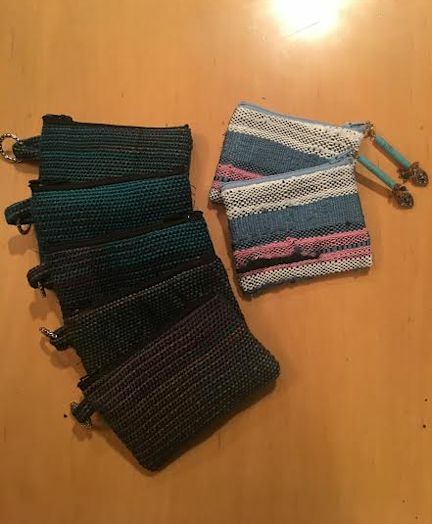 All in all, I have made 23 little bags of various sizes and various patterns. I started a new one tonight of copper and teal with a splash of pink and chartreuse. 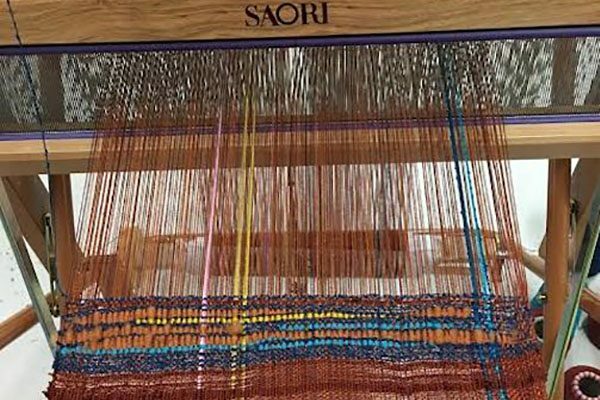 The Saori style of weaving is meant to be messy, bumpy and fun. It is an expression of yourself at the moment. No rules. No stress. No mistakes. Here is a piece Olivia made. My friend Gina has been joining me for the class. Her piece is loud and fun with string, and fringe, and all kinds of extras. I have an extra zippy little bag here so I thought it would be fun to pass it along to a subscriber this week. 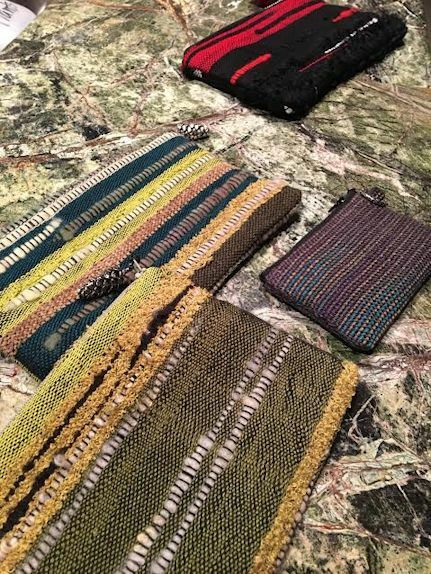 So, everyone who has subscribed to the blog by Friday, February 10th at 5:00 p.m. Eastern time will be placed in a drawing for one of my hand-woven, hand-sewn bags. They are lined, lumpy, bumpy, and an expression of my creative process in class. You can use them for chocolate or carrots – no rules! Love all your creations! I’m having so much fun! 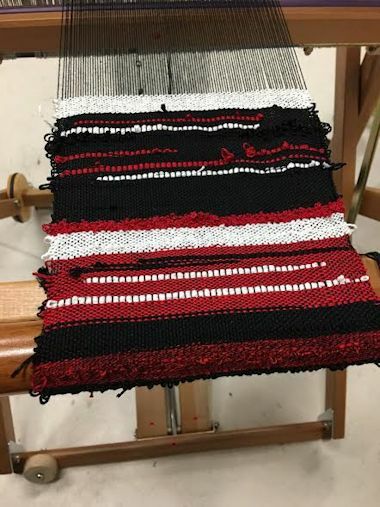 Weaving looks like great fun and a tension reliever…I think? 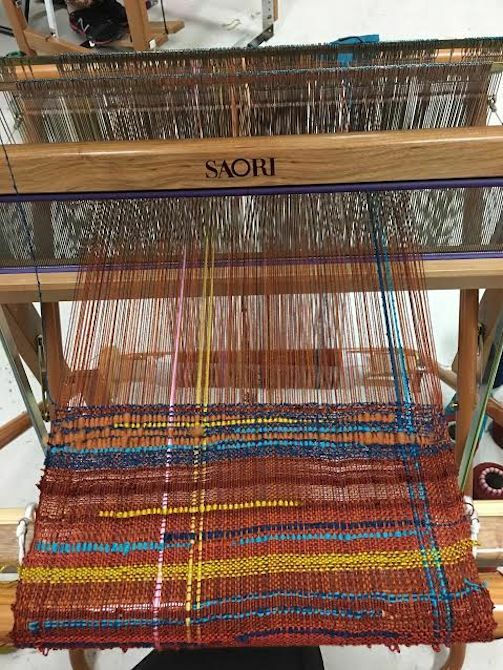 It is fun to weave and there is a nice group of people who come each week. All in all a pleasant evening. Next time you are here, we will take you down there for a class.